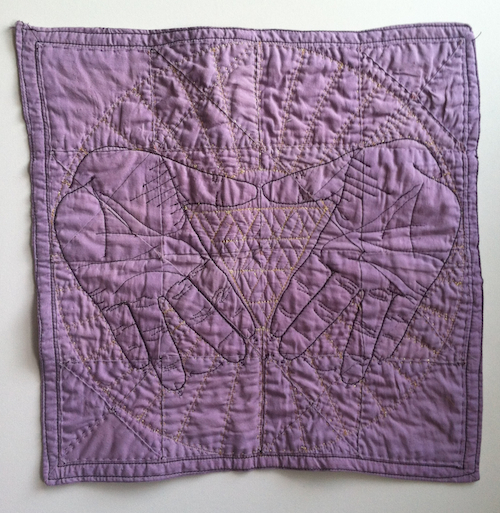 Quilted Lavender Hanky #2. Quilted cotton and polyester. 12.5" x 12.5"